One of the world’s most isolated communities is Resolute Bay, located in the Arctic Circle about 1000 kilometers from the North Pole. Its home to only two-hundred people, but there’s a lot going on in this extreme remote location. The Canadian Forces facilitates training and performs patrol operations, Natural Resources Canada monitors climate change, and Parks Canada is involved in preserving wildlife habitat and migration routes. The airport serves as an important refuelling stop and provides main access entry to this area as it’s equipped to handle large commercial aircraft. The summer of 2017, Resolute Bay’s airport required the installation of overhead and runway lighting for their airport parking. Though a lot of utilities run above ground in this area, not all of them do, which is why they contacted Structure Scan for a thorough utility location sweep. On a different job, they didn’t check for buried utilities and a power line was hit causing a genuine safety concern for the community. They needed absolute confirmation they could safely install lighting without touching any vital buried utilities. One of the challenges in utility locating is that anything that affects the signals path to ground, impacts the quality and accuracy of the analysis. These include environmental factors (ground moisture), ground quality, site accessibility, congested areas with known and unknown objects. 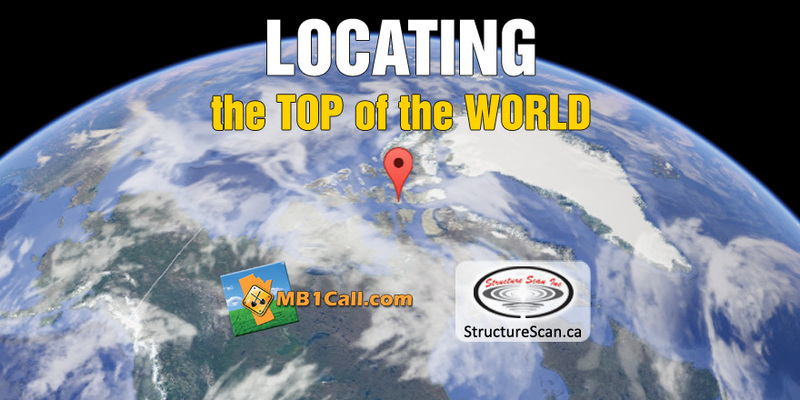 When a locator shows up to the job-site, they must be prepared for problem-solving. The accuracy of their conclusions determines the direction of future development and the safety of the area surveyed. Structure Scan’s team is willing to go the extra mile, for damage prevention! If your company would like to learn more about subsurface analysis and the value of accurate reporting, contact us.